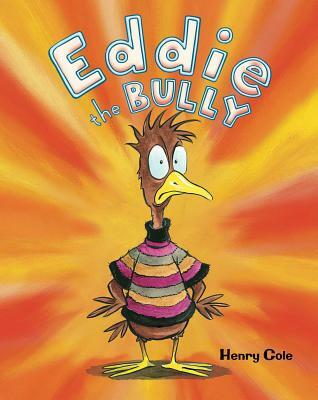 A thoughtful anti-bullying book from the talented author/illustrator Henry Cole! Eddie the chicken is the meanest kid in class. He may be the smallest, but he is the biggest bully. He calls people names, hides people’s homework, and trips people. No one is safe from his bullying! And when the teachers give him a time out, that just gives him time to think of more mean things to do! When a new student, Carla the pig, comes to class one day, everyone is prepared for the worst. But does she have a way to stop Eddie’s bullying? She compliments his clothes, invites him to lunch, and is extremely nice to him. Her kindness makes Eddie feel great at first. But then he starts to think about the way he's treated his other classmates, and he feels bad. He realizes it feels good to be nice, so he tries to help her make friends and be a good friend to everyone, any way he could be, any time he could be.